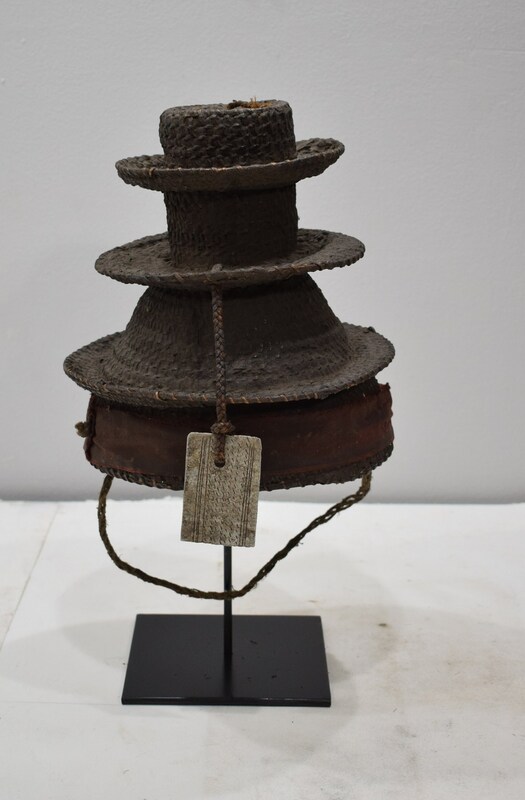 This is a beautiful and Rare African Cylindrical Tiered Rattan Hat from the Ekonda Ntumba Tribes in the African Congo. 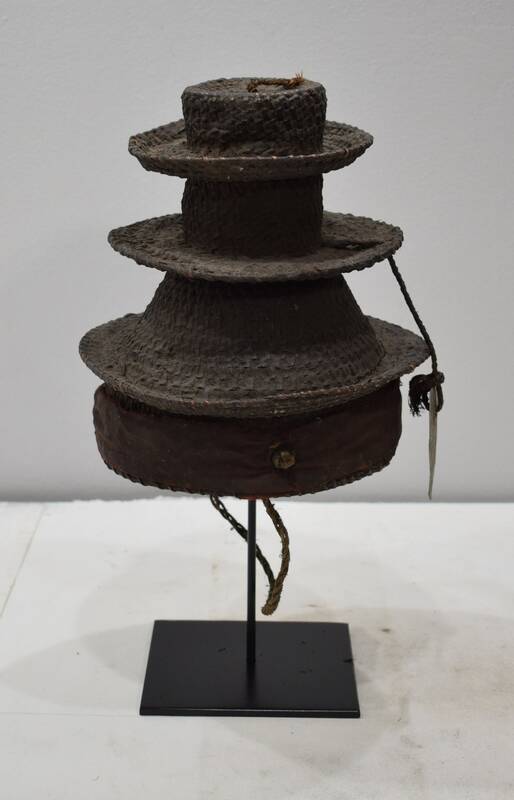 Mongo sub-groups, notably the Ekonda and Ntumba, wear this cylindrical tiered hat. Among the latter, it is mandatory for the ritual chief to war the botolo when he appears in public. This emblem of his status is passed on to his successor on his death. 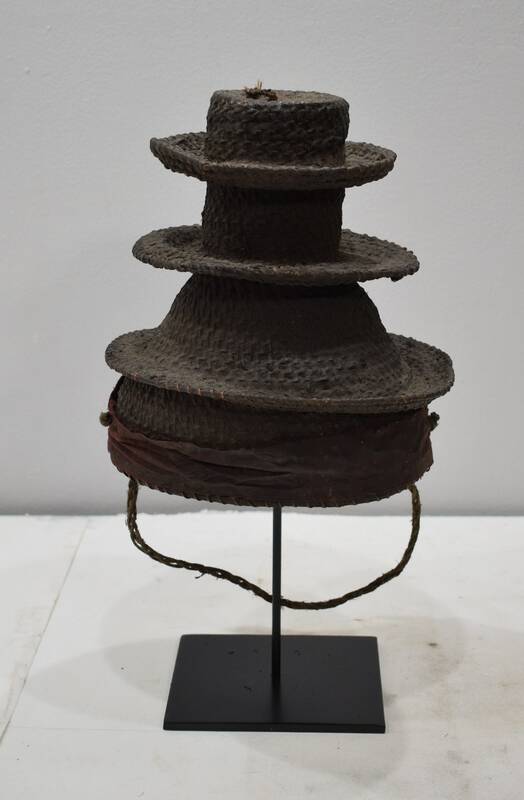 The wearer's show wealth and status to further enhance his prestige. 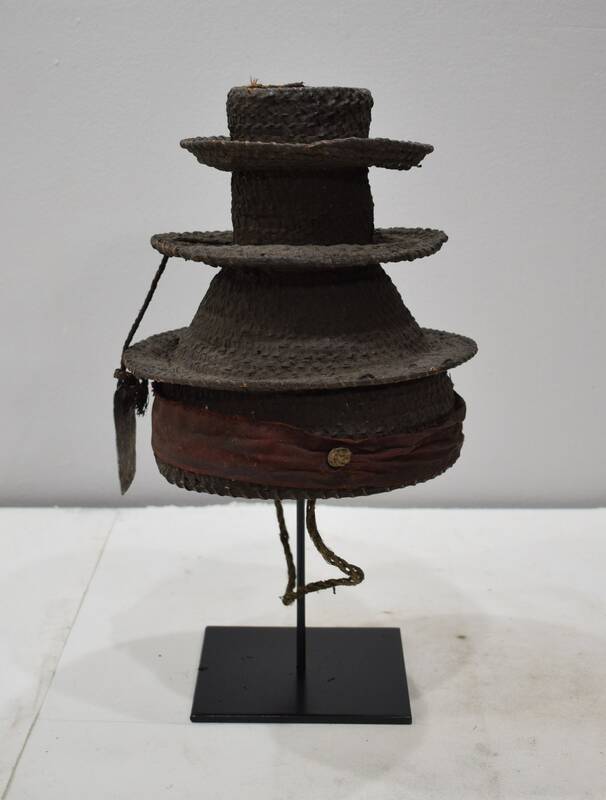 This hat would would be a wonderful addition to your collection. Shows age, Excellent Condition Hard to find.